The merger was announced in August last year and is now expected to complete in the first half of this year; Coca-Cola wants to make Costa a global brand. 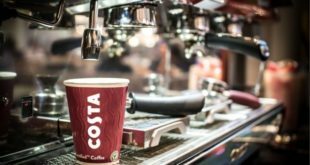 “Coca-Cola wants the coffee brand and with that we will see a greater presence of Costa products across shops, vending machines, when you order a coffee at a pub or a bar, there will be Costa coffee." The toy brand trumped the likes of British Airways, Apple and Coca-Cola in this year's listing. To mark the milestone, ICEE is launching brand new flavours and POS displays for retailers. ‘Coca-Cola delivers fans the delicious, ice-cold refreshment they need to follow all of the action, and with our new Share a Coke team bottles,’ says Coca-Cola’s Peggy Loos. 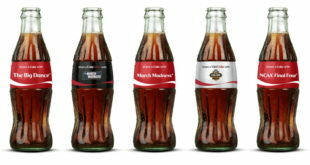 Forms part of a campaign that will see new limited-edition Coke Mini cans boast images of Marvel characters. The trio has launched an in-flight colouring competition, offering the best drawing a free trip for four to Vienna. 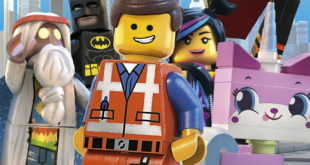 Firm tops Interbrand's annual countdown of the top 100 global brands; Disney also makes top 15. Latest from Hasbro lets players collect 'world famous' brands; 22 renowned brands feature.